Dr. Everett McCorvey, who heads the opera department at the University of Kentucky will be our honored speaker. He will be joined by some former students who will provide an evening of musical entertainment. 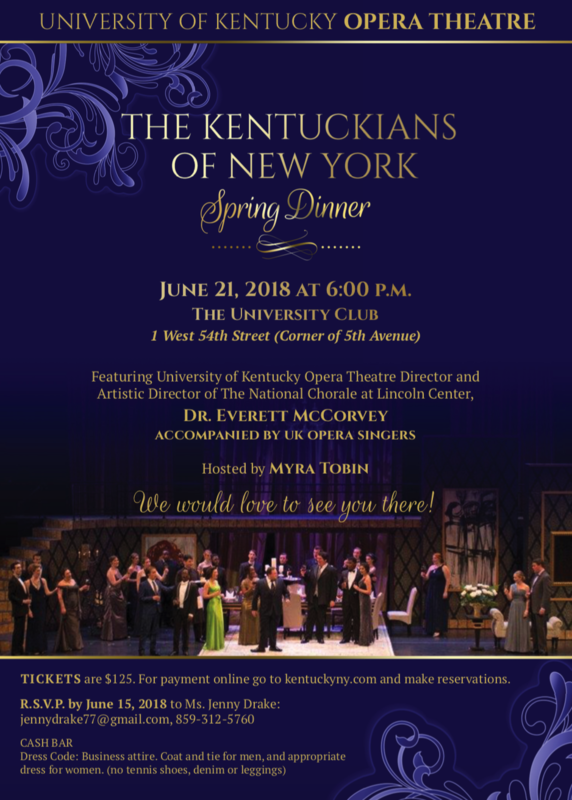 Reserve below for a great evening with fellow Kentuckians. ← Fall Dinner 2017 + Pictures!